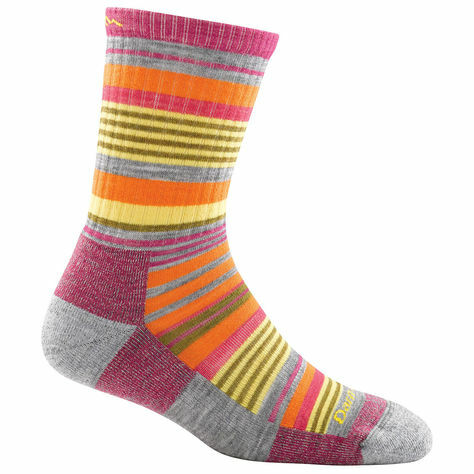 Eastern Mountain Sports offers these DARN TOUGH Girl’s Sierra Stripe Micro Crew Light Cushion Socks for $7 + Shipping. Retail was $14. Shipping is free on orders over $49. Hit the trail in the colorful palette of Darn Tough’s Sierra Stripe Micro Crew Socks. Lightly cushioned, they deliver a blister-free performance fit, breathable comfort, all-weather performance, and natural odor resistance.